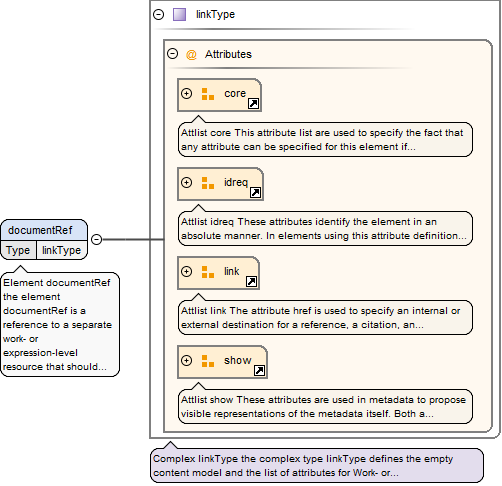 the element documentRef is a reference to a separate work- or expression-level resource that should be placed in this position. Actual resources are external (e.g. in the package or even in a different position) and are (an expression or any expression of) a separate Work.